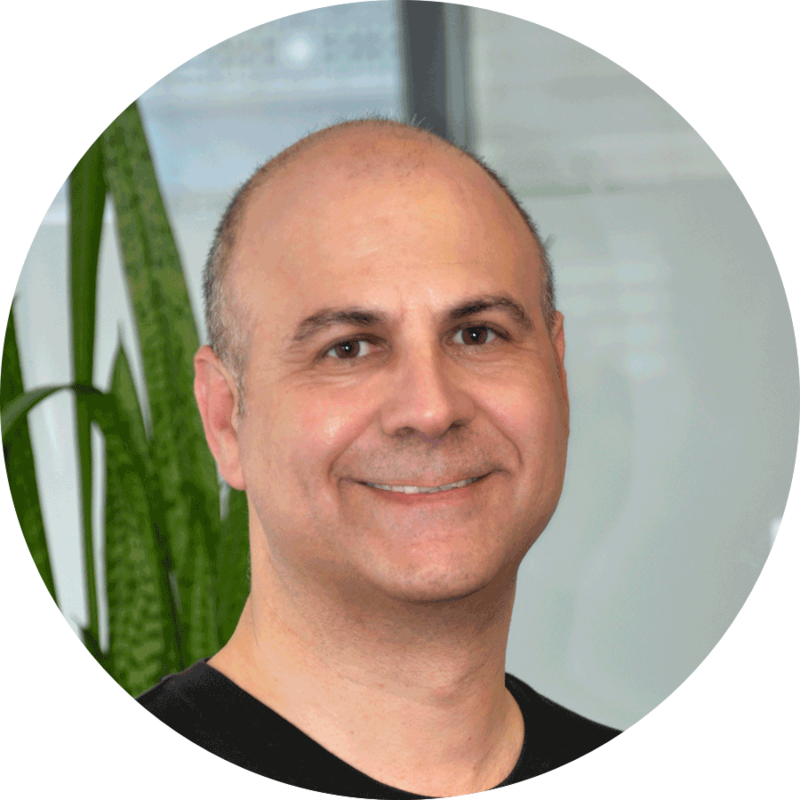 Ronen Cohen and his team of engineers at Goji Research tackling problems through innovation. Sir James Dyson, best known as the inventor of the bagless vacuum cleaner, said “Manufacturing is more than just putting parts together. It's coming up with ideas, testing principles and perfecting the engineering, as well as final assembly.” He couldn’t have said it better. The manufacturing of any product starts even before you have assembled the first component: it starts at the drawing board level. RF solid-state power modules are, of course, no exception. Just as you design the product to meet performance targets, usability, reliability and certification, you must also design for mass manufacturing and testing. 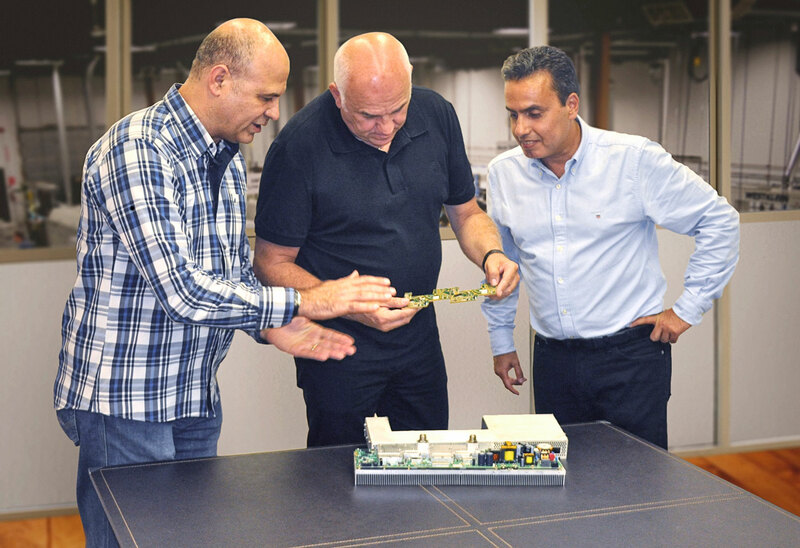 ‍François Barbier and Eli Kalif (Group President and Senior Vice President, Global Operations and Components, Flex) with Ronen Cohen (COO, Goji Research) discussing the serial production aspects of Goji’s RF module. In the heart of every RF solid-state cooking appliance is an RF module. 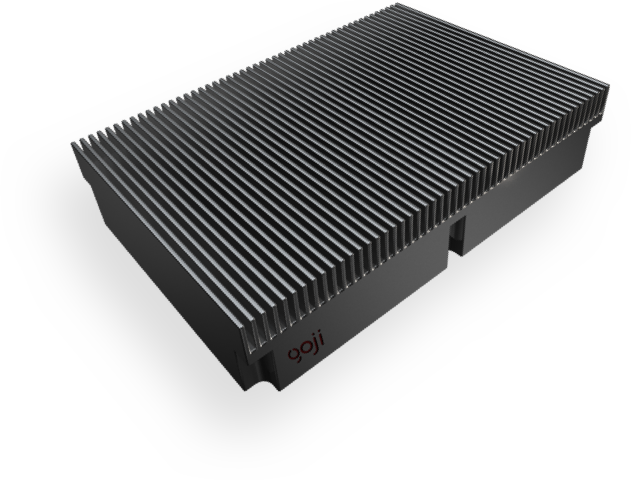 This high power amplifier-transceiver is capable of converting DC power into high power RF energy, with high-level control over frequency, amplitude and phase. Though the RF module is a critical component in the appliance, it is by no means the only one. 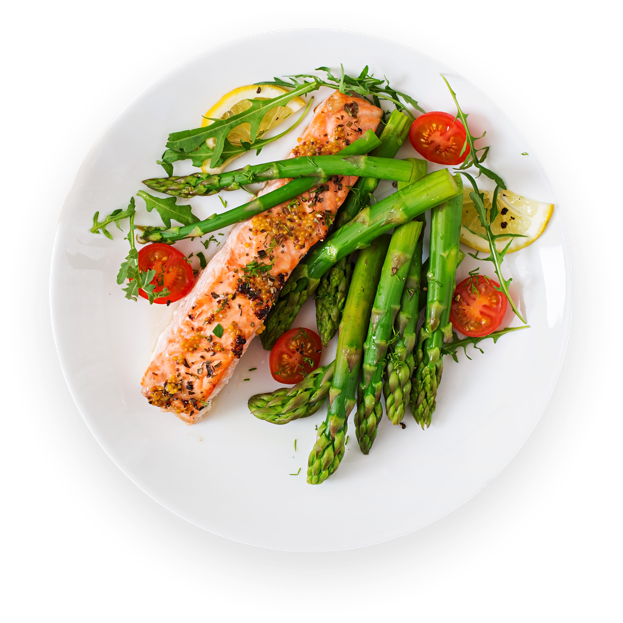 Cooking appliances have multiple electronic and mechanical parts and the RF module must live in the same environment with a suitable mechanical, electrical and RF interface. Thus, unlike power amplifiers in other markets, RF modules must meet very strict requirements in areas such as space, temperature and price. Our scientists and engineers at Goji Research have worked on Goji’s technology for over a decade now. By going through multiple design iterations and finalizing production transfer with a world-class electronics manufacturer, we have a learned a lot about the design and serial manufacture of RF modules. Goji’s new RF module is designed for excellence. This high power amplifier-transceiver is capable of converting DC power into high power RF energy, with high-level control over frequency, amplitude and phase. The path of development and production of new technologies such as the RF module is riddled with challenges, some anticipated and some not. 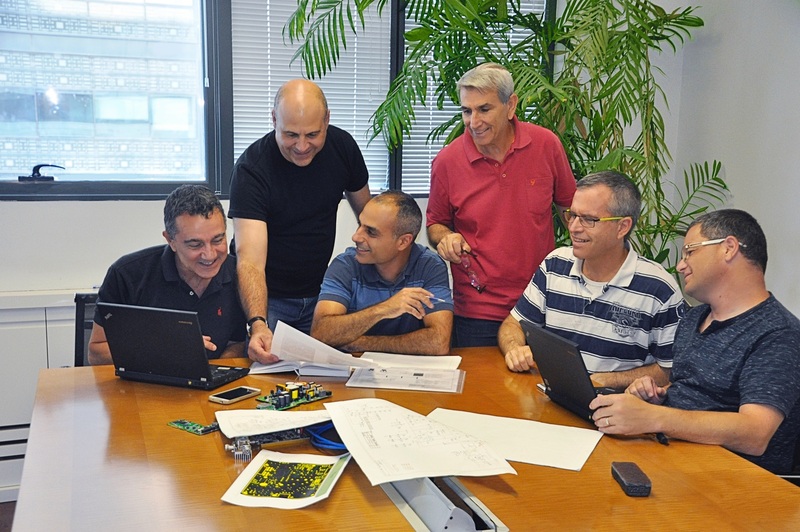 To address these effectively, we have created a culture that promotes innovation and out-of-the-box problem solving, yet respects our product development processes. Through this approach, we have successfully passed many obstacles along the way and have developed a truly unique product. Moreover, we have accumulated the unrivaled learning and experience which gives us our expertise, one of the unique values we bring our customers today.